Copper Mountain is considered to be the local’s secret stash. Not only can you play all day year-round on the mountains, but the Village of Copper is brimming with fun day and night happenings everywhere from around the pond to Burning Stones Plaza. From signature music festivals and art shows to championship golf courses and skiing & snowboarding competitions, Copper is a majestic setting for family getaways and corporate leadership meetings alike. The Copper Conference Center offers all the snazzy bells and whistles that are expected of world-class resorts as well as cutting-edge team building options for developing team leadership and group dynamics. 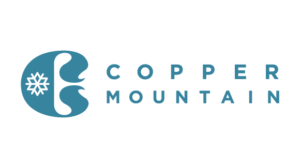 CBST Adventures has long been a preferred vendor of Copper Mountain, designing customized teambuilding programs that incorporate a love of adventure with the quest for success. With our eyes on the prize of a transformative event for a group of 20 people to 1,000 or more, CBST Adventures strikes a balance between the creative, cerebral and the physical. Our clients appreciate our attention to detail, our large arsenal of programs and our professionalism. So, if your company is looking for innovative corporate team building activities to maximize your team’s potential, know that we at CBST Adventures hold ourselves to the highest standards (and we’re just a lot of fun to work with, to be honest).